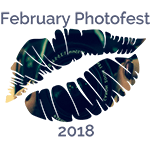 Today is the final day of my February PhotoFest and I’ve really enjoyed it. The challenge of posting everyday and taking new and different images has pushed me. (And I wish I had more in the achieves to use!) So as we are finishing on a Wicked Wednesday – which is my band night- I thought I would leave you with another photo of my saxophone. When trying my previous photographs of my sax, a friend suggested a pose with me sat on a chair and I moaned about how my house is full of stuff and getting a shot against a plain background was difficult and making excuses. Then last week there was a day I had carpet fitters coming, and I suddenly realised that for a few hours I had an empty (but small) room! I dashed home from my jobs and had about an hour with my camera. So this shot is for my friend, and I hope you think it was worth the comedy value of the loud knock on the door while I was still naked on the chair with camera and tripod! You have never seen me move so fast ever, and I hope the fitters didn’t notice the lack of underwear under my blouse and the flushed naughty look on my face when I finally opened the door. Loved the story too . . . but the photo is just absolutely stunning! Sinful sound surround…..the perfect way to listen to the music of a person’s soul. Nice lighting to set the tone. I’ve really enjoyed seeing all your images this month. This last one – and the story that goes with it – makes for a perfect ending. The image is absolutely stunning. I love the story behind it too, but gosh… the image. I keep on scrolling back to it. Gorgeous! Thank you Marie – I was very pleased. Seeing the behind the scenes shot and then the final, I was like wow! Well done with that. What a gorgeous shot. “and I moaned about how my house is full of stuff and getting a shot against a plain background was difficult” THIS! I so wish I had enough space to have a small room for my photography. It is but a dream but maybe one day. As for this image, you used you alone, empty room, time to perfection I think. The edit is utterly perfect and I love everything about it. Outstanding. I liked seeing your process and I loved seeing you.